Valencia-based manufacturer with distribution throughout Spain and the rest of the world. Specialized in working with sheet metal for light handmade, so the care in its production make each piece unique. Pendant "Ethnicity S20 / 2". Less size version with a display of pure and straight lines made with veneer wood composite pre-dissipating light thanks to the meshing of Cebrano. Metal finial with nickel matte finish (Ø8cm) and electronic cable transparent 1m. It incorporates compatible socket with energy saving light bulbs. 1x 25W E27. (Bulb not included). Pendant "Tea Cebrano PL125". Collection of balanced design and light appearance that gives a comfortable warmth. 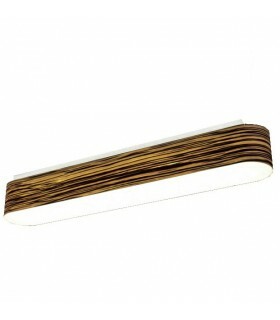 Screen plate made of pre-made with acrylic diffuser, Zebrano wood finish. Surface mounting directly to the ceiling. Dimensions: Length: 125cm. Width: 18cm. High screen: 15cm. 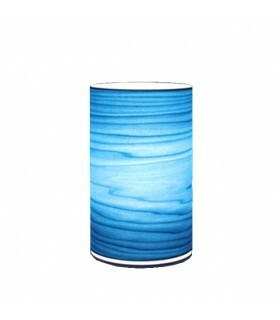 It incorporates LED technology as a light source. Delivery 2 weeks. Pendant "Tea Cebrano SL125". 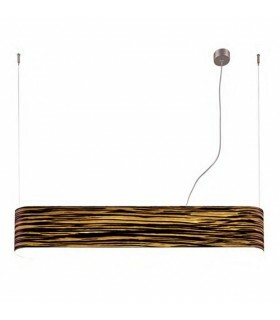 Screen plate made of pre-made with acrylic diffuser, Zebrano wood finish.With a metal finial with nickel matte finish (Ø8cm) and two tension cables with a brake system. Customizable electronic cable length on request. It incorporates LED technology as a light source. Pendant "Tea Cebrano SL66". 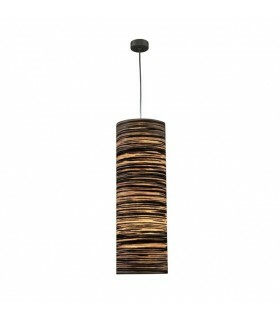 Screen plate made of pre-made with acrylic diffuser, Zebrano wood finish.With a metal finial with nickel matte finish (Ø8cm) and two tension cables with a brake system. Customizable electronic cable length on request. It incorporates LED technology as a light source. 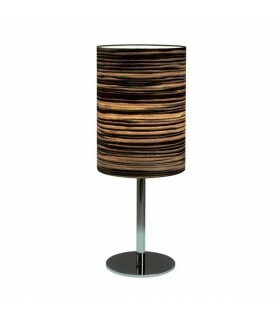 Table lamp "Tea Cebrano SML40". 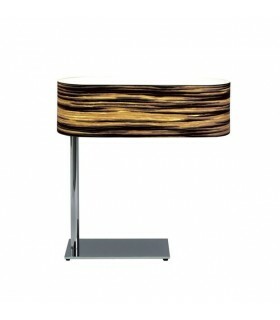 Screen plate made of pre-made with acrylic diffuser, Zebrano wood finish.Base and structure made of metal with chrome finish gloss effect.Dimensions:Length: 40cm.Width: 15cm.High screen: 12cm.Height: 43cm.It incorporates LED technology as a light source. 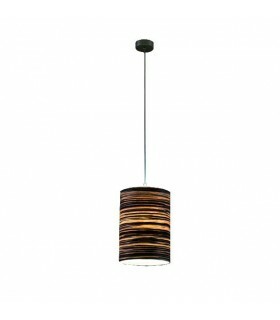 Pendant "Tea Cebrano ST125". 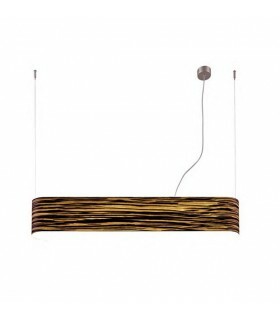 Screen plate made of pre-made with acrylic diffuser, Zebrano wood finish.With a metal finial with nickel matte finish (Ø8cm) and two tension cables with a brake system. Customizable electronic cable length on request. It incorporates tubular fluorescent lighting source. Pendant "Tea Cebrano ST66". 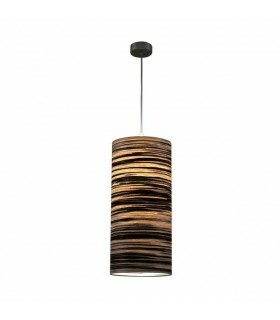 Screen plate made of pre-made with acrylic diffuser, Zebrano wood finish.With a metal finial with nickel matte finish (Ø8cm) and two tension cables with a brake system. Customizable electronic cable length on request. It incorporates tubular fluorescent lighting source.